When in Agonda, you'll find us at Zest cafe every day. A meal here is like eating in a Tibetan singing bowl; utterly relaxing and unbelievably uplifting. The place serves healthy, vegan and vegetarian food with an exciting menu. 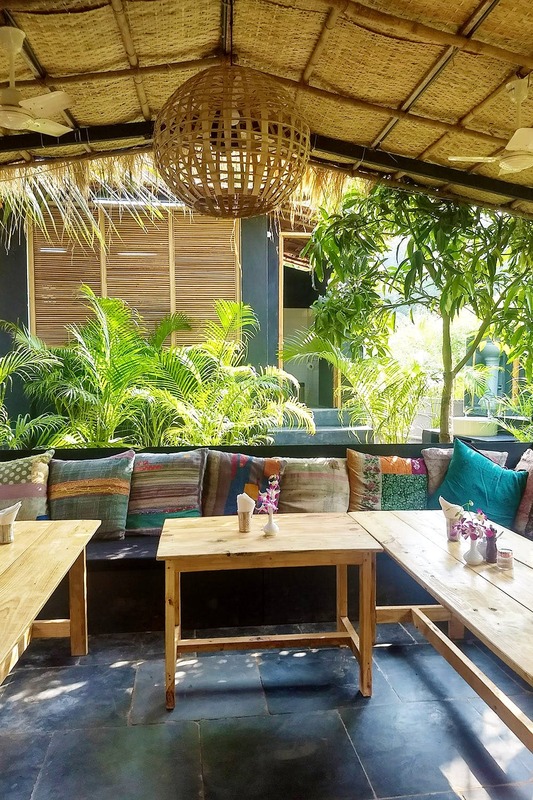 We can tell you that Zest’s trippy music, tropical setting and sassy vegan foods can coax even the most staunch meat eaters into embracing a green life (no, seriously, we saw it happen). But if the pizzas and buddha bowls can't lure you in, let the gorgeous decor do the magic. Honestly, everything we sampled here, including the pastas, coffee, smoothies, salads, wraps and sourdough toasts, successfully took the boring out of the vegetarian. Their scrambled egg with goat cheese and chia seed pudding are our favourite things to order. We dig their vegan coffee with coconut milk as well. And, their vegan ice creams and mango cheesecake are are go-to to end a non-greasy meal. When we're done eating but don't want to leave, we actually just sit around. You, of course, can check out their garden huts that were just about getting done when we went, so hopefully, you could stay a night here as well. On your way out, remember to browse through their shop, Bunti, that's got a collection of chic indie clothes, bags and home decor. While we don't really miss anything at Zest, on some nights, we wish they had live music to go with the wine. Oh yes, and we'd have shopped truckloads if the prices at Bunti weren't so high. Pants and dresses were mostly around INR 2-4k and the bags could be between 1-3k. The cafe has a branch in Palolem but it's smaller. The cosy vibe and great food more than makes up for the space in Palolem though.